I tried to login on the PC and got t new screen, put in user name, email and password and it warned me that the progress would be lost so I went to the registration instead. It seemed like the thing to do. I have seen these before, when working with Stat Netherlands in Blaise 5, server based questionnaires. I've been away from it for a year so don't recall if this is one of those generic messages that we get when the application gets lost. It feels like something is mis matched or missing. Maybe a version from the web page pointing to an instance that does not exist. Just thought I should report it. Will check again later. Android goes to the intro screen (the guy on the horse) plays music for about 30 seconds then quits. Screen goes blank. 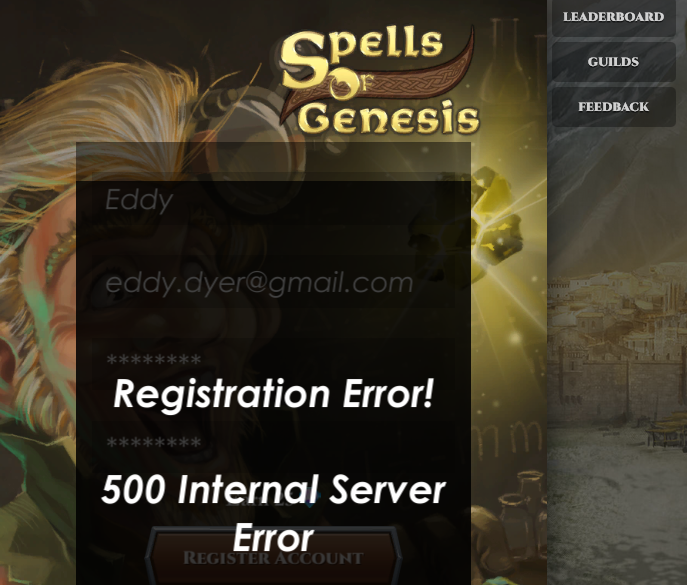 update: Android gives the error message: Login Error! Invalid User Name. No worries. It happens. The messages are sometimes kind of cryptic on this end. Good luck with the backup and restore. The adventure continues. Hey, 9 hours? I lose some work from last night. Boo hoo. Too bad, so sad. I remember the days when I was on that end. Tried not to do to many weekend or late nights. Fixing other peoples mistakes is a pia. They say they didn't change anything, yea sure. Except for ... virus checking yuck! Delayed the load 45 to a couple of minutes each time the questionnaire was loaded. The user community had fits, as they are want to to. This is good practice for disaster recovery. Be sure to write it down in your Lessons Learned document. I had better quit teasing you. But it is so much fun to be here instead of there, right now. Maybe I will take a nap or write a story. Dad always said: "Be good, and if you can't be good, be careful."